You need prescription glasses in order to accomplish many of the tasks throughout your day–and chances are, most of those tasks are done wearing the same pair of frames. If you’re going to be outside participating in a wide range of sporting events, from running or biking the trails to playing a pickup game of basketball with your buddies, there are plenty of good reasons to take off your regular prescription glasses. 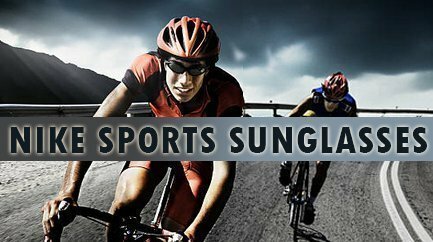 Nike prescription sunglasses for sports can offer a number of advantages to your vision, your overall health, and your athletic performance, allowing you to enjoy your favorite sport without having to worry about your sunglasses. Advantage #1: Nike prescription sunglasses are designed to be lightweight. Clunky, heavy glasses on your face when you’re in the middle of a sport are incredibly frustrating–especially when they fall off in the middle of a game. Nike prescription sunglasses, on the other hand, are designed to be lightweight and comfortable, making them the perfect choice whether you’re in the middle of a hard game of baseball or headed out for a trail ride. Advantage #2: Wearing Nike prescription sunglasses will help protect your eyes from damaging UV rays. Extended exposure to the sun can cause a number of dangerous problems for your vision, including cataracts, macular degeneration, glaucoma, and more. Particularly bright sunlight can also cause problems with temporary vision loss, especially if you stare into the sun for too long–and when you’re playing a sport, you may not have a choice about where your vision needs to be fixed in order for you to score those important points or reach your critical goals. Wearing prescription sunglasses, on the other hand, will help reduce the sun’s impact on your eyes, allowing you to enjoy your favorite sport without fear. Advantage #3: With Nike prescription sunglasses, you’ll get clearer vision. There’s nothing more frustrating than being in the middle of an intense game, only to miss your shot because the sun got in your eyes at the wrong moment. Your prescription sunglasses, on the other hand, will both dim the sun so that you can see more clearly and sharpen your vision, making it easy for you to see everything that’s going on in the game around you. Sure, you’ll lose the excuse that the sun was in your eyes; but you’ll also get better performance throughout your sporting activity, giving you a better workout and a better result for your team. Advantage #4: Ventilation technology will help keep you cooler throughout your sport. Let’s face it: glasses quickly become hot, especially in the summer heat. It’s bad enough to have sweat running into your eyes when you’re out on your run or in the middle of a game, but it’s even worse when you get the heavy hit from your glasses, too. Nike’s patented ventilation technology, on the other hand, is specifically engineered for use in the middle of sporting environments. You’ll get more airflow, which in turn will keep you cooler and make you more comfortable in your glasses–a surefire win! Advantage #5: The self-adjusting nose bridge will keep your glasses firmly in place. Chances are, you’ve had your prescription glasses professionally fitted to give you a great, comfortable fit. Unfortunately, the fit that’s just right when you’re sitting at home on your couch can be extremely frustrating as it slips and slides around your face in the middle of your favorite sport. Nike’s prescription sunglasses come with a self-adjusting nose bridge that will allow you to customize your fit no matter what sport you’re enjoying. If you prefer a looser fit when you’re wearing your sunglasses at other times, it’s an easy adjustment–but in the middle of your sport, you can get a firm fit that will keep your glasses in place on your face where you need them most. Advantage #6: Durability matters. You play as hard as you do everything else, and you need glasses that are able to meet that challenge head-on. Your Nike prescription sunglasses are specifically designed to be as tough and as durable as you are. Whether your glasses face the possibility of a ball to the face or simply a fall from your nose, you want to know that they’re tough enough to withstand it so that you can shove them back into place and get back to your sport–and these sunglasses are designed to do exactly that. That durability will also come in handy when you do get smacked in the face, since you won’t end up with glasses in pieces that could scratch your face or damage your eyes. Just scoop up your glasses, put them back on, and get ready to battle it out with your teammates as you meet your athletic goals. Advantage #7: A cool, streamlined appearance will be the envy of your friends. You might need glasses to correct your vision, but that doesn’t make you a geek! Your Nike prescription sunglasses come complete with a cool, streamlined appearance that will appeal to your friends and have you looking your best. There’s no better solution for looking cool while protecting your eyes and enjoying your favorite sports outside. Nike prescription sunglasses are also available in a wide range of colors and styles, which increases the odds that you’ll be able to find a pair that fits your unique sense of style. Match the frames to your favorite sports uniform or simply select your favorite color: there are plenty of choices! Advantage #8: Rubber temples wick away sweat. Let’s face it: that sweat streaming down your face is uncomfortable, especially when it gets in your eyes. Fortunately, Nike prescription sunglasses come complete with rubber temples that are able to wick away that sweat, preventing it from getting in your eyes and making your glasses more comfortable. You’ll also find that the rubber temple design helps stop your glasses from slipping and sliding around your face while you’re playing. Advantage #9: Get great coverage from your sunglasses. When you’re playing your favorite sport, you don’t want a pair of sunglasses that only offers half of the coverage you need. Instead, opt for Nike prescription sunglasses, which offer full coverage no matter where you’re looking. This great design prevents you from ending up temporarily blinded by the sun if you’re looking sideways or trying to see in a particular direction at just the wrong moment as well as providing additional coverage for your eyes. so comfortable that you’ll forget that you’re wearing them. If you’ve ever had a pair of glasses that didn’t fit quite right, you know how frustrating it can be to be constantly aware that they’re sitting on your face–especially when you’re in the middle of playing your favorite sport. When you opt for Nike prescription sunglasses, on the other hand, you’ll get an incredibly comfortable pair of sunglasses that are designed to move with you and make you more comfortable. That means you’ll be able to concentrate on your favorite sport, rather than having to constantly worry about your sunglasses. Advantage #11: Nike prescription sunglasses offer a unisex design. These sunglasses are designed to work for anyone, at any time. There’s no worry over whether or not you’re choosing the “right” frames or if you’re browsing the section of the site intended for your gender. 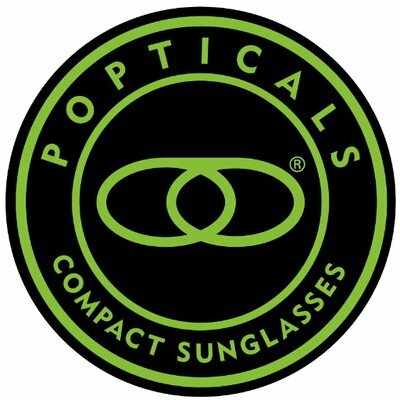 They have a broad enough size range that you’re sure to be able to find a pair of sunglasses that will work with your unique style and taste–not to mention your sport of choice. Advantage #12: Nike prescription sunglasses are strong enough to hold your prescription. 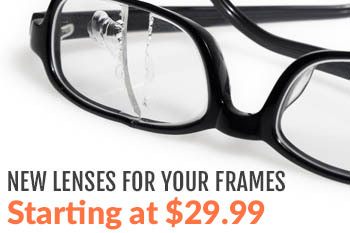 Many people with high prescriptions have to be very careful when they choose their frames. They need glasses that are tough enough to hold up their heavy lenses–and Nike prescription sunglasses are tough enough to do exactly that. The sturdy frames of these sunglasses will hold even heavy prescriptions in place, allowing you to stop worrying about whether or not you’re going to pop out a lens–again–and get back into the game. Nike prescription sunglasses are a marvel of engineering. No matter what your favorite sport might be, if it takes you into the great outdoors, you need a pair of Nike prescription sunglasses to help enhance the experience. You’ll find that they’re the perfect mix of comfort and convenience, from the rubber temples that help wick away sweat to the ventilated design that allows for enhanced cooling on the hottest summer days. If you engage in a sport outside on a regular basis, it’s time to add a pair of Nike prescription sunglasses to your gear and discover just how much easier they can make it to see, participate in your favorite sport, and more. Still have questions or concerns about whether or not these are the right sunglasses for you? Ready to place an order so that you can have your sunglasses in your hands–or on your face–as soon as possible? Contact us today, and we’ll work with you to get the best pair of sunglasses for your sport of choice.